Thank a donor as part of the note writing event Nov. 14-17. The academic buildings. The theatres. The programming. The study abroad opportunities and global internships. The library. The scholarships. The athletic facilities. They all have stories that begin with the generosity of a donor. From Nov. 14-17, Webster students, faculty and staff members have the opportunity to share their favorite parts of their own Webster experience in the form of a hand-written message to those who help make it all possible – our donors. 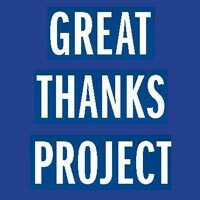 The fourth annual Great Thanks Project is back. Increasingly a project spirited by student initiative and philanthropic excitement, Student Ambassadors and members of the Office of Advancement staff will manage note writing stations at Marletto’s Marketplace from 11 a.m.-1:30 p.m. each day. Each station will include blank note cards featuring the artwork of BFA graduates Destini Johnson and Riley Williams, and names of donors which each participant will draw to select the recipient of his or her note. If someone has a specific donor to whom he or she would like to write, or would prefer to write to a donor who gives to a specific part of the University, he or she will have an opportunity to do so. For questions regarding The Great Thanks Project, contact Katelyn Knicl at 314-246-7161 or katelynmacpeek83@webster.edu.